When the gunman advanced toward the mosque, killing those in his path, Abdul Aziz didn't hide. Instead, he picked up the first thing he could find - a credit card machine - and ran outside, screaming: "Come here!" 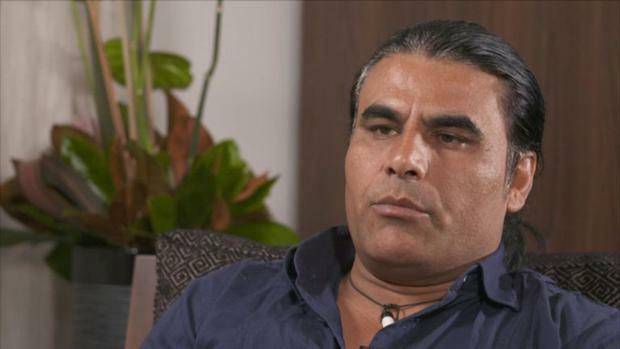 Aziz (48) is being hailed as a hero for preventing more deaths during Friday prayers at the Linwood mosque in Christchurch, New Zealand, after leading the gunman in a cat-and-mouse chase before scaring him into speeding away in his car. The gunman is believed to have killed at least 41 people at the Al Noor mosque before driving about 5km across town and attacking the Linwood mosque, where he killed seven more people. Two people died later in hospital. Alabi said he heard a voice outside the mosque at about 1:55pm and stopped the prayer he was leading and looked out the window. He saw a man in black military-style gear and a helmet holding a large gun, and assumed it was a police officer. Then he saw two bodies and heard the gunman yelling obscenities. Aziz said as he ran outside screaming, he was hoping to distract the attacker. He said the gunman ran back to his car to get another gun, and Aziz hurled the credit card machine at him. He said he could hear his two youngest sons, aged 11 and five, urging him to come back inside. He said the gunman ran back to the car for a second time, probably to grab another weapon. "He gets into his car and I just got the gun and threw it on his window like an arrow and blasted his window," he said. Aziz said he didn't feel fear or much of anything when facing the gunman. It was like he was on autopilot. And he believes that God, that Allah, didn't think it was his time to die.